EVERY THURSDAY AT NOON, HITS 95.9 listeners will now have a chance to win a $20 gift card to the best Thai/Japanese restaurant in the Glens Falls region– Thai Sushi Aroy Dee! THAI SUSHI AROY DEE is sponsoring the HITS 95.9 On Demand Diner every Thursday. Their food is outstanding– even for someone who doesn’t like sushi! I am a big fan of their spicy drunken noodles, myself. They do have plenty of sushi too, like the Dragon Roll. 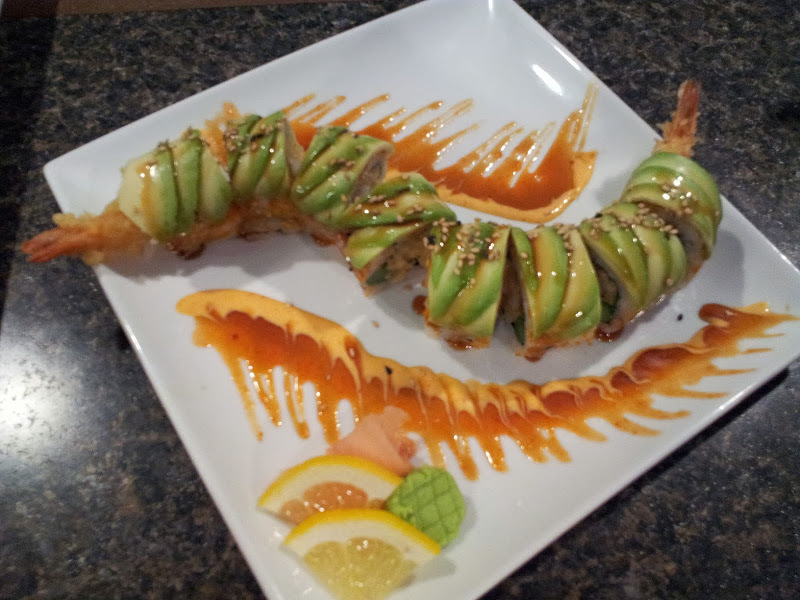 Dragon Roll — a Thai Sushi Aroy Dee favorite! So be sure to tune into the On Demand Diner hosted by HITS 95.9’s Jenny Lewis every Thursday at 12pm. Jenny will list a set of ingredients and the first listener to guess what she’s cooking WINS! And if you’re hungry now and can’t wait until Thursday, check out THAI SUSHI AROY DEE HERE.